Prior to The Shattering, the Hyacinth Macaw dropped from Bloodsail Mage, Bloodsail Swashbuckler, Bloodsail Warlock, Bloodsail Sea Dog, and Bloodsail Deckhand in Stranglethorn Vale. After Patch 4.0.3a this pet became a zone drop in Northern Stranglethorn and The Cape of Stranglethorn. There are other more common birds with the same moveset and "better" breeds, but B/B is still fine against most Aquatics where this moveset works, and imagine the insane grind if this were available in many different and "better" breeds? With my luck I would kill 5000 mobs and have an H/B drop instead of the P/P or S/S I may have been hoping for... 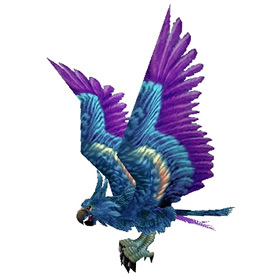 I own two of these in real life and unfortunately the battle pet looks more like a hawk than a parrot. Still a sentimental favorite. Went to STV this evening, just after 4 kills I get my bird. She is so pretty! I remember when I got this drop, back in vanilla when I was playing my first toon. I vendored it for 10s. The replacement, after I became a collector, cost me 10k gold. Ahh, the memories. I've been farming off and on for a few months. Also watching AH, made a bid on one today and actually got it for 15 silver....OMG so fun! After 27.2k kills I finally got this from a bloodsail pirate. I was originally planning to sell this, but now when I have it, I don't think I'm going to. 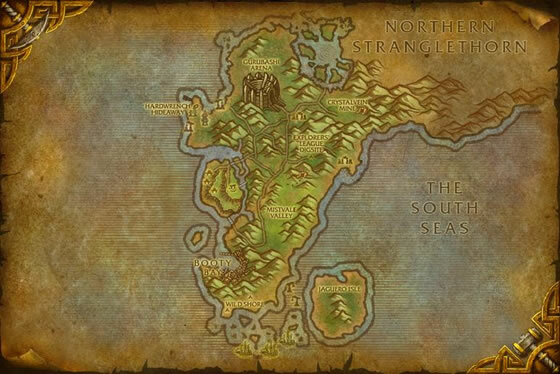 At first I killed about 17000 Bloodscalp trolls in Zul'Kunda ruins in Northwestern Stranglethorn, but then I moved to a very good spot around southeast from Gurubashi arena. There are 3 spots there with bloodsail pirates and they spawn pretty quickly too. They also drop a lot of silk cloth which is really nice. I am a serious pet collector. I got this Hyacinth Macaw in Northern Stranglethorn farming near the Venture Company Base Camp today. It was a nice surprise. I have been playing since vanilla and never managed to get one. This one is going to 10k on my server, but there is no way I will give this bird up. Good Luck ! I got this while farming for Venture Co. mobs for Booty Bay rep. If you're going to farm for this, these are great mobs as they spawn quickly enough and also have a possibility of dropping the First Mates Hat and the Razzashi Hatchling. :). Happy Hunting. I found this one on AH for 1400g! A healthy, weak power bird with a less than optimal ability set. It might be rare and a beautiful bird, but for pet battles look for another bird. There are birds with better stat distribution and there are birds with same abilities but better positioning of them. This one completely blindsided me. A few months ago, I saw one on the Black Market AH for 1k, and no one had bid on it. Got outbid in less than an hour. Then, the other day, I was doing the Ft Livingston quests on a lowbie, and got one off of an ogre that ambushed me. To think, if I had gotten off the path, he would have walked right by me. Was making a plan to start farming this when i spotted one on the AH. I snatched that deal faster than you can say Hyacinth Macaw! i feel almost as if i got it as a drop from how rare it might be to obtain this from the AH for only 1k gold. gonna have this out as often as i can remember to summon a pet. and as soon as they put epic stones in the game, this is my first epic upgrade. I actually got this as a drop while questing on my very first toon back when BC had just opened! My husband used to make fun of me for learning it as a companion instead of putting it on the auction house for thousands of gold (I had no idea at the time how rare it was). Needless to say, now that he is collecting pets of his own, he is V. Jealous of mine! It's still one of my favorites. I was leveling a warrior alt in Norther Stranglethorn, and had him drop off a tiger. It was amazing! I just now looted this from a Bloodscalp at the Ruins of Zul'Kunda (Northern Stranglethorn) while I was farming for a Razzashi Hatchling. Guess I got lucky on the Hyacinth because I got it at 83 kills. Still farming for the Razzashi though ... sigh. This pet is still one of the most unique looking pets in the game, as far as colouring. I purchased it for 6500g during WOLK even though it was (at the time) the rarest pet in the game. I was disappointed when pet battles where introduced and it was reduced to rare quality, but if epic pet stones are introduced, this one will be my first upgrade lol. Ok am torn I feel bad but bought it anyway on Sen'Jin I got this one for 10GP yes that is 10 not 10000.00. Guess was my lucky day and someone else mistyped. The jungle trolls train these birds to mimic calls for help in order to lure unsuspecting travelers into traps.